I have further news following yesterday’s post. Today I’m excited to announce that I’ve just released a new short story. A lost tale from The Book of Kindly Deaths, called One Dark Hallow’s Eve and it’s available on Amazon now. 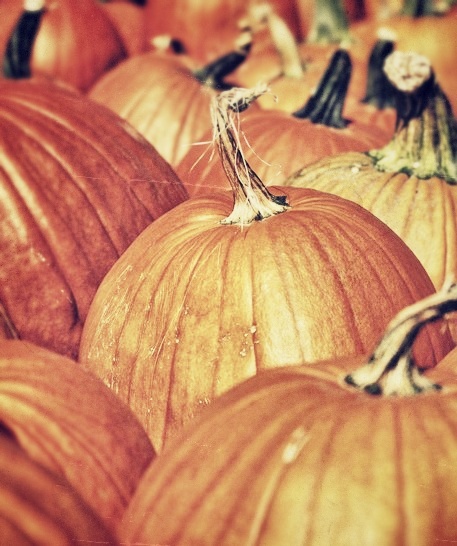 Do you love spooky Halloween stories? Then this twisted tale is for you. One Dark Hallow’s Eve is a complete story in and of itself, and gives readers a glimpse into the world of The Book of Kindly Deaths. I hope you will check it out. The front cover was made by the wonderfully talented Lisa Amowitz who created the cover for The Book of Kindly Deaths. Fourteen year old Owen is not having a good day, it’s All Hallow’s Eve and things are not as they should be. Something is lurking in the lake by his house, dead leaves are falling and the brambles are twitching. When Owen meets a strange old man hiding in an abandoned farm, things go horribly wrong. Soon Owen catches his first glimpse of a real-life monster, one that raises a terrifying horde of nightmarish creatures to descend upon the village. Can Owen cast aside his terror and save the village as the clock ticks towards midnight? 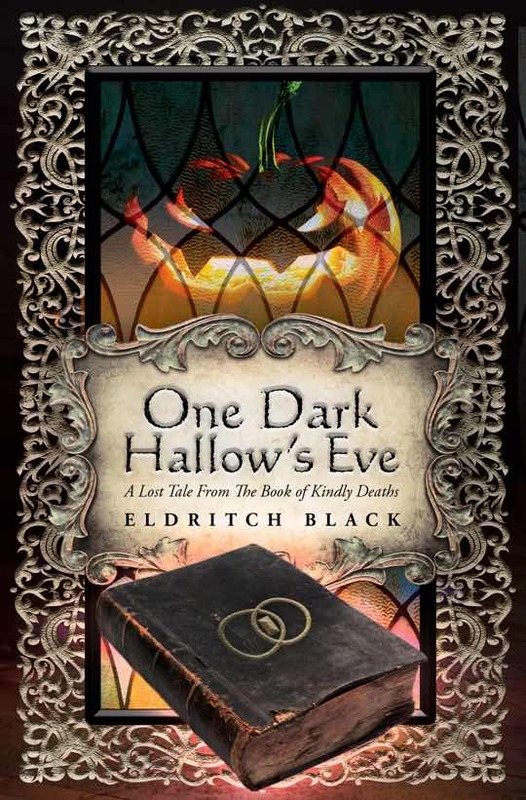 One Dark Hallow’s Eve is a lost tale from Eldritch Black’s The Book of Kindly Deaths. Read it now for an adventure in a dark fantasy world, with more than a touch of Halloween horror. 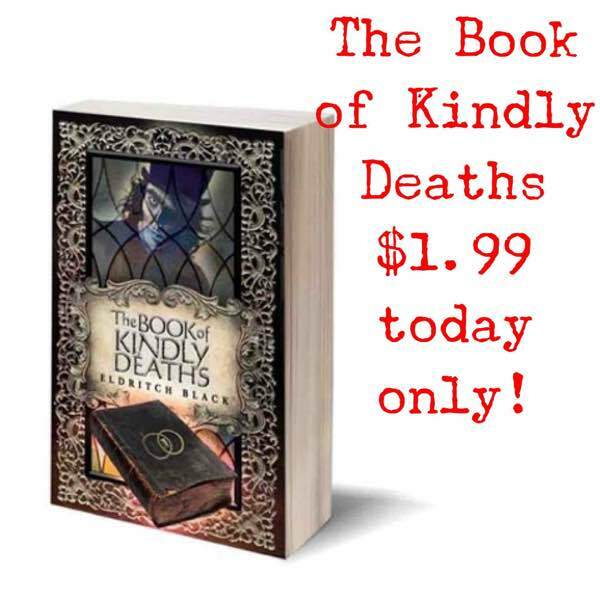 To celebrate this month of unquiet pumpkins, terrible tricks and tantalizing treats, I’m holding a GIVEAWAY for The Book of Kindly Deaths on Goodreads. For a chance to WIN your very own copy, simply go here. As you can probably imagine, Halloween marks my busiest season. October is the month I traditionally rise, sweep the last of the sun from my lair and prepare to unleash my dark fantastical tales on the world. I write a lot over the summer, forced as I am to retreat to a heavily curtained room with the sound of rain playing to ease my sun-addled mind. This year has been a busy one. 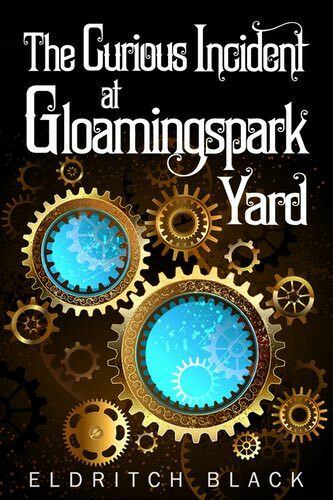 I’ve finished a novel, have nearly completed another short Steampunkesque novel, and am starting a new book in the next few weeks. 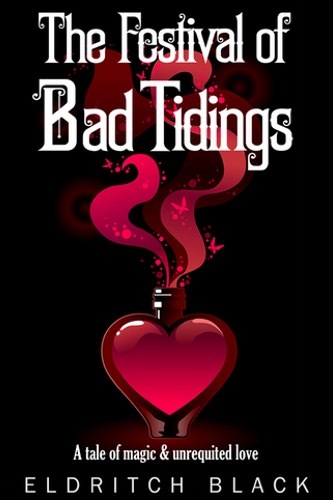 In between I’ve revamped several of my book covers and I’ve also written two short stories. 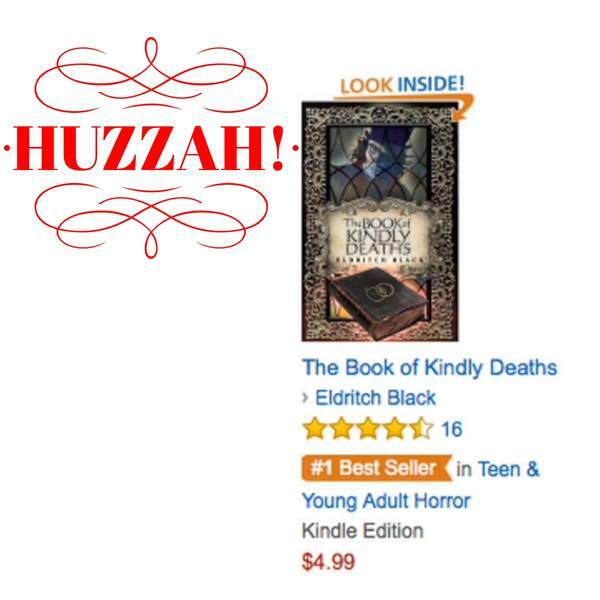 Both tales are based around The Book of Kindly Deaths. One has been shelved because it felt like it deserved to be a full length book, the other, One Dark Hallow’s Eve, is coming very, very soon. Perhaps it did. Maybe each time I pushed it, some poor soul lost a tooth. Or a penguin slapped a toad. Or a witch lost her hat. But whatever happened, one thing was for sure – I never received updates from my favourite authors. Until today. Because I’m told, the Amazon follow button is now fully operational. 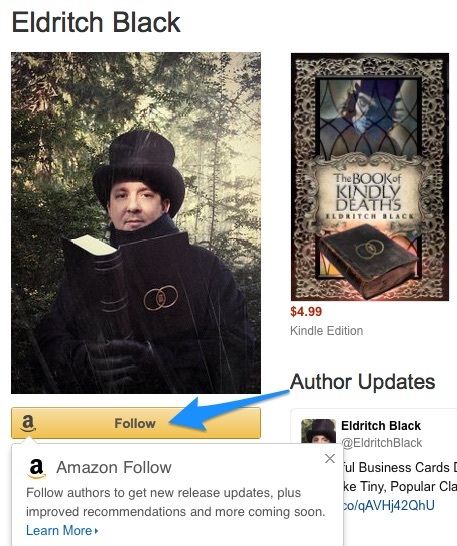 So if you enjoy my work, please go and push the golden yellow Follow button right away, and receive updates from Amazon each time I release new short stories and books. Which will be soon, for new things are coming. 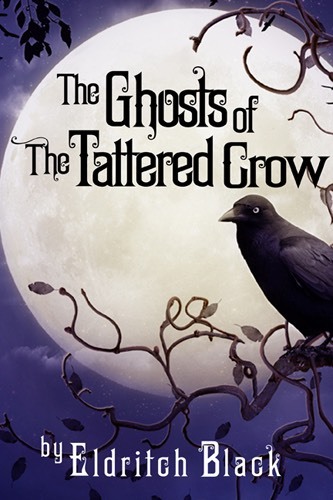 Including a terrifying lost tale from The Book of Kindly Deaths, among other ghastly delights.